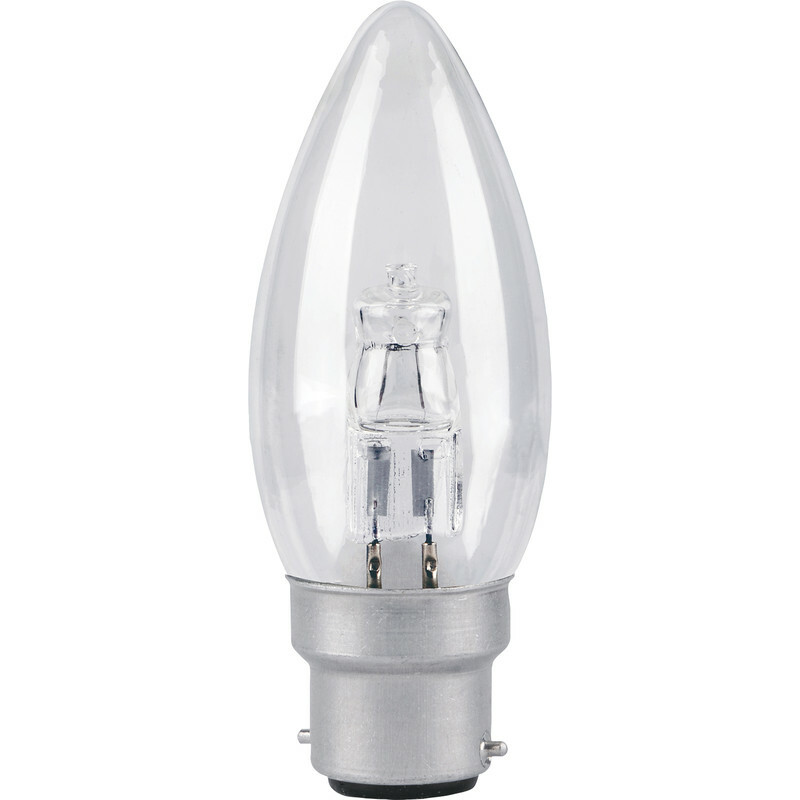 Corby Lighting Halogen Candle Dimmable Lamp 18W B22/BC 210lm is rated 4.4 out of 5 by 9. Rated 1 out of 5 by PaulJW from Short Lifespan purchased several. approx 30% failed in under 1 year of use. Rated 4 out of 5 by JaneM from Shining! Great little lightbulbs for the price. Good to have a choice of wattage. Rated 5 out of 5 by sunbeam from Great product I needed a dimmable, low wattage bulb for a bedside lamp with 4-stage touch switch, and this was just the job. At the lowest setting, it could serve as a night light, whereas a dimmable LED bulb would have been too bright, as well as a lot more expensive. Rated 5 out of 5 by Liddo from working on dimmer circuit ok Been using as normal on dimmer switch light circuit for about a week. Can't really give more than 4 stars for reliability yet. All ok so far. Great price.